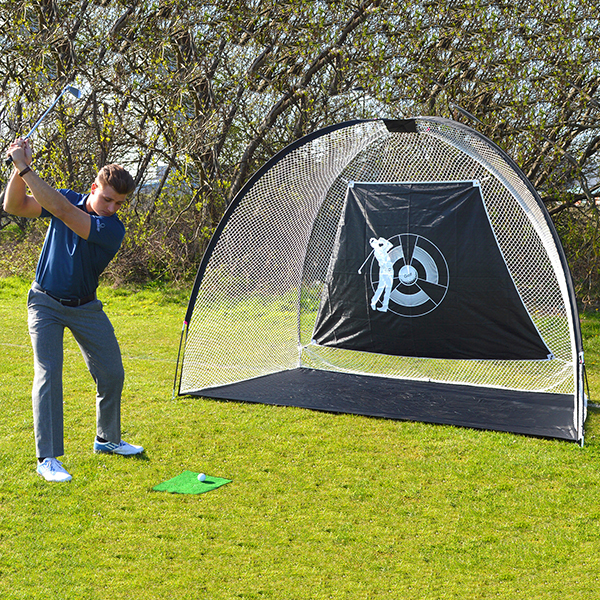 Supersize your practice sessions with a Links Choice Driving Net. 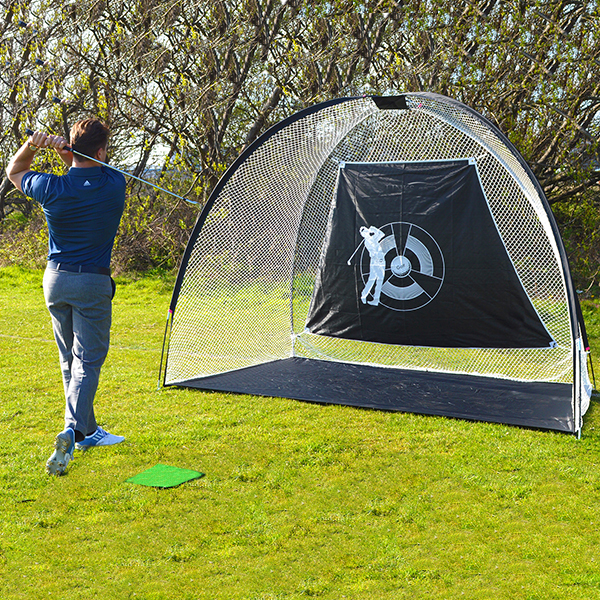 Measuring a massive 7ft in height and 10ft in width, no golf ball will go astray, allowing you to practice your golf swing safely in your own back garden. 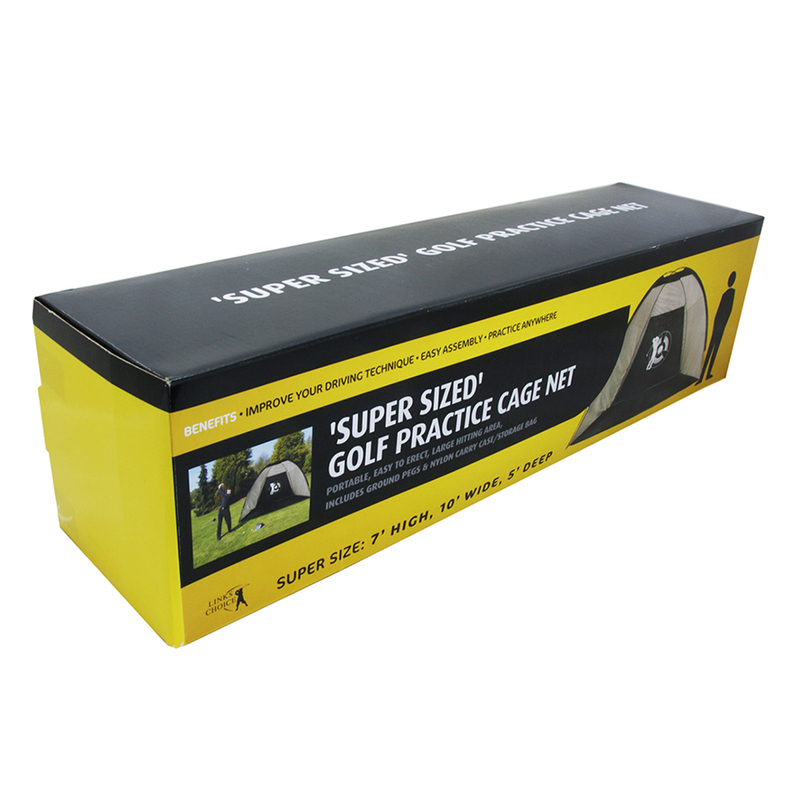 Fashioned from highly durable materials, this supersize driving net has been built to last and take the full force of your drives and to make sure you don’t smash up your own golf balls, Links Choice has supplied 2 Dozen of their Lake Balls to practice with. Please note, the mat pictured is not included. 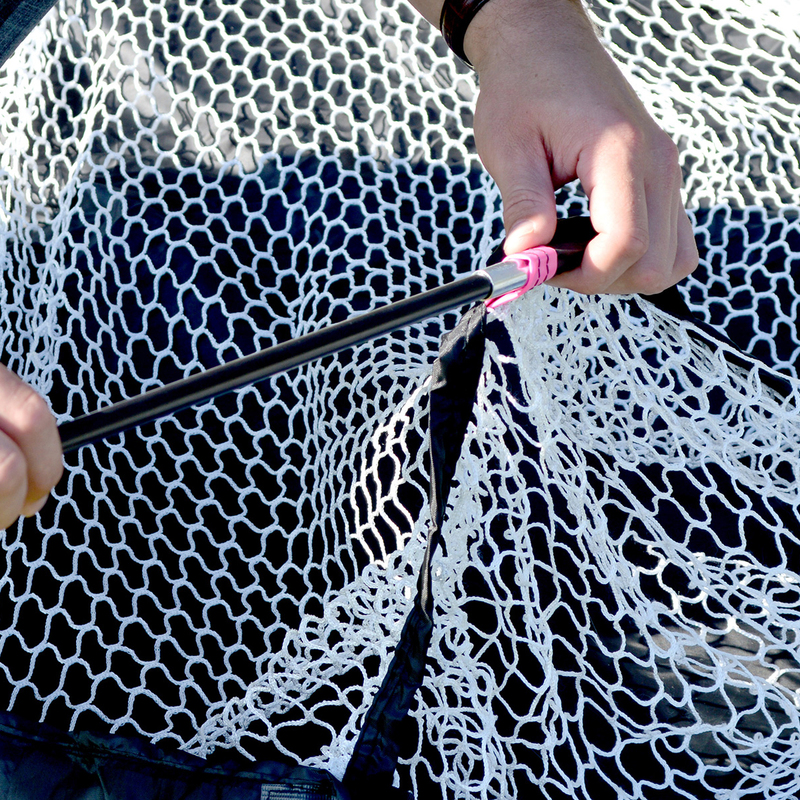 Designed to catch every golf ball, a Links Choice Super Size Driving Net measures 7ft high, 10ft wide and 5ft deep. 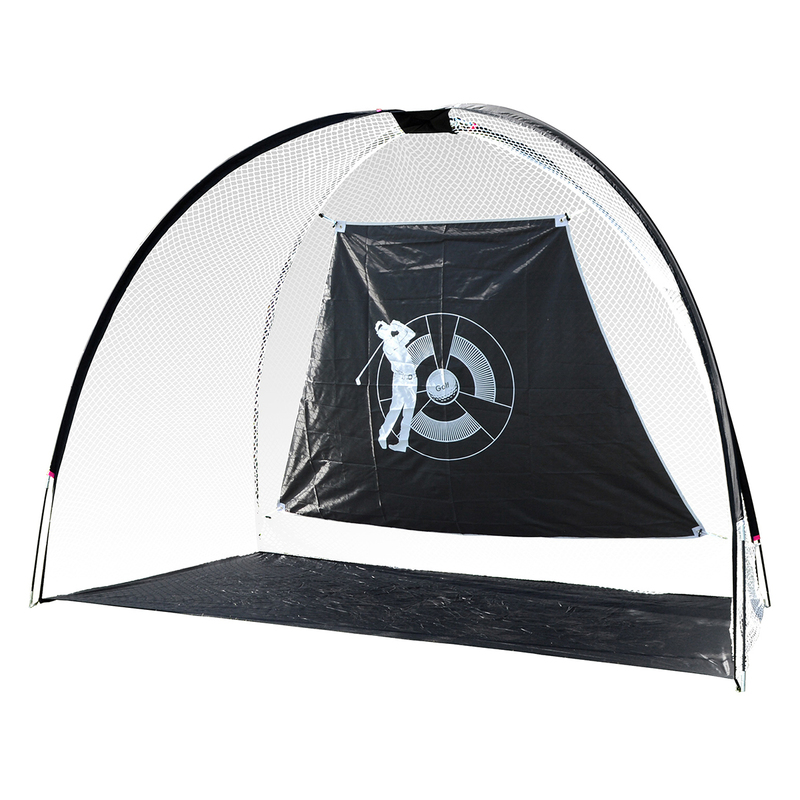 Made from highly durable materials, it can withstand the most ferocious swing speeds and easily sets up for practice, then folds back down for storage. Links Choice has thrown in 24 of their Lake Golf Balls for you to practice with. Rescued from a watery fate, stripped and refinished back to perfection, these second hand golf balls look, feel and play as though they’re as good as new, making them ideal for driving practice.